With branches closed, automatic teller machines (ATMs) might get empty sooner than normal. Government treasury transactions would also be impacted. Around 10 lakh bank employees are on strike pressing various demands. 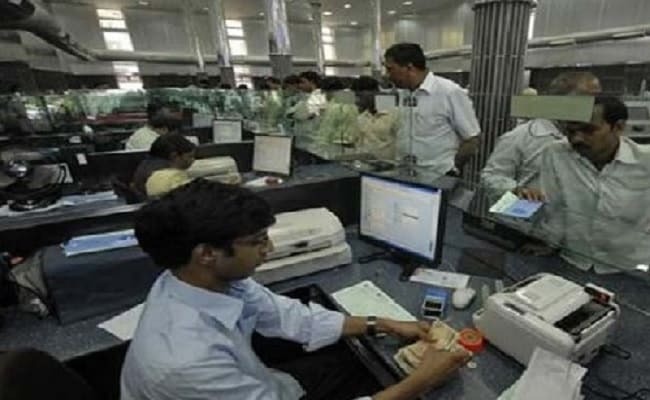 Chennai: Banking operations in Tamil Nadu have been affected with around 55,000 bankers striking work pressing for their demands, said a top All India Bank Employees' Association (AIBEA) leader. "It is a dawn-to-dusk strike as cheque clearing operations start at 6 a.m. Bankers working in around 10,300 branches struck work protesting the policies towards the sector," CH Venkatachalam, General Secretary, AIBEA told IANS. Mr Venkatachalam said around 12 lakh financial instruments valued around Rs 7,300 crore would not be cleared. With branches closed, automatic teller machines (ATMs) might get empty sooner than normal. Government treasury transactions would also be impacted. Foreign exchange transactions, import and export bill transactions, sanction of loans and others could also be affected. In most of the places, clearing operations, particularly outward clearing was seriously affected. Normally in the three clearing grids functioning from South, West and North -- Chennai, Mumbai and Delhi -- on an average about 40 lac cheques and instruments worth about Rs 20,000 crore are transacted per day. This was affected in a big way, Mr Venkatachalam said. Among the 17-point charter of demands, the main demands are relating to government's denial of adequate capital to public sector banks thus creating conditions for privatisation, AIBEA said in a statement issued on Tuesday. "Privatisation of banks would mean privatising the Rs 80 lakh crore of common people's money available in our banks. "This is dangerous for the country and our people. Privatisation of banks would also result in denial of loans to priority sectors like agriculture, rural development, education, etc," AIBEA added. According to the AIBEA, when India needs more banking services, the Centre is talking of consolidation, amalgamation and merger of Banks. Bank mergers would result in closure of bank branches as is happening in the SBI now after merger of Associate Banks. Merger to create big banks is risky, as big banks with huge loans may lose. "The main and real problem facing the Banks today is the alarming increase in bad loans. It is now Rs 15 lac crore that is about 20 per cent of total loans. Bulk of bad loans are due from big industrialists and corporate houses," the AIBEA said. "We regret that the government and the IBA were not eager to resolve the issues to avert the issues thus forcing the unions to go ahead with the strike. "We are sorry for the inconvenience caused to bank customers but they should appreciate that our strike is to defend their interests and common people's interests," Mr Venkatachalam said.